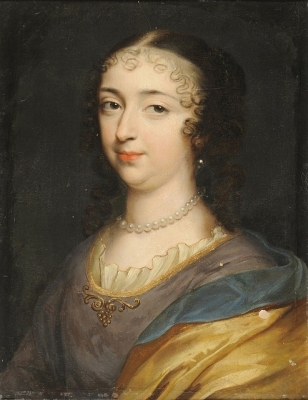 Laura Martinozzi was the daughter of Hieronymus Martinozzi and Laura Mazarini.1 She married Alfonso IV d'Este, Duca di Modena, son of Francesco I d'Este, Duca di Modena and Mary Farnese, on 27 May 1655. She died on 19 July 1687. [S11] Alison Weir, Britain's Royal Families: The Complete Genealogy (London, U.K.: The Bodley Head, 1999), page 265. Hereinafter cited as Britain's Royal Families. [S11] Alison Weir, Britain's Royal Families, page 266. 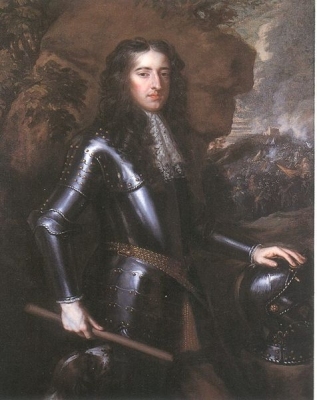 [S18] Matthew H.C.G., editor, Dictionary of National Biography on CD-ROM (Oxford, U.K.: Oxford University Press, 1995), reference "William III, 1650-1702". Hereinafter cited as Dictionary of National Biography. [S11] Alison Weir, Britain's Royal Families: The Complete Genealogy (London, U.K.: The Bodley Head, 1999), page 272. Hereinafter cited as Britain's Royal Families. [S12] C. Arnold McNaughton, The Book of Kings, volume 1, page 2. [S6] Cokayne, and others, The Complete Peerage, volume IV, page 81. [S11] Alison Weir, Britain's Royal Families, page 273. [S12] C. Arnold McNaughton, The Book of Kings: A Royal Genealogy, in 3 volumes (London, U.K.: Garnstone Press, 1973), volume 1, page 256. Hereinafter cited as The Book of Kings. [S13] Detlev Schwennicke, editor, Europäische Stammtafeln: Stammtafeln zur Geschicht der Europäischen Staaten, Neue Folge: Band XVII (Frankfurt am Main, Germany: Vittorio Klostermann, 1998), tafel 8. Hereinafter cited as Europäische Stammtafeln: Band XVII. [S12] C. Arnold McNaughton, The Book of Kings, volume 1, page 261. [S6] G.E. Cokayne; with Vicary Gibbs, H.A. Doubleday, Geoffrey H. White, Duncan Warrand and Lord Howard de Walden, editors, The Complete Peerage of England, Scotland, Ireland, Great Britain and the United Kingdom, Extant, Extinct or Dormant, new ed., 13 volumes in 14 (1910-1959; reprint in 6 volumes, Gloucester, U.K.: Alan Sutton Publishing, 2000), volume III, page 262. Hereinafter cited as The Complete Peerage. Margarita Katherina Elisabeth Prinzessin zu Hohenlohe-Öhringen was born on 28 April 1960.1 She was the daughter of Kraft Hans Konrad 8th Fürst zu Hohenlohe-Öhringen and Katherina von Siemens.1 She married Karl-Emich Nikolaus Friedrich Hermann Erbprinz zu Leiningen, son of Emich Cyril Ferdinand Hermann VII Fürst zu Leiningen and Eilika Stephanie Elisabeth Thekla Juliana von Holstein-Gottorp, Herzogin von Oldenburg, on 8 June 1984 at Amorbach, Bayern, GermanyG, in a civil marriage. They were remarried 8 days later in a religious ceremony in Neuenstein.1 She died in February 1989 at age 28, killed in a car accident. 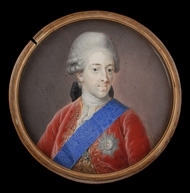 Friedrich Wilhelm I König in Preußen was born on 15 August 1688.4 He was the son of Friedrich I König in Preußen and Sophie Charlotte Hanover, Princess of Hanover.5 He married Sophia Dorothea Hanover, Princess of Great Britain, daughter of George I Louis Hanover, King of Great Britain and Sophie Dorothea Herzogin von Braunschweig-Lüneburg, on 28 November 1706.6 He died on 31 May 1740 at age 51 at Potsdam, Brandenburg, GermanyG.4 He was buried at Potsdam, Brandenburg, GermanyG. [S12] C. Arnold McNaughton, The Book of Kings, volume 1, page 44. [S38] John Morby, Dynasties of the World: a chronological and genealogical handbook (Oxford, Oxfordshire, U.K.: Oxford University Press, 1989), page 137. Hereinafter cited as Dynasties of the World. [S11] Alison Weir, Britain's Royal Families: The Complete Genealogy (London, U.K.: The Bodley Head, 1999), page 275. Hereinafter cited as Britain's Royal Families. 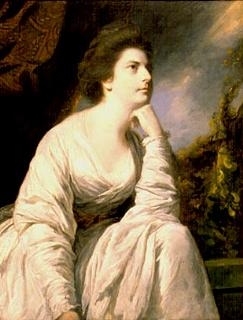 Margaret White was the daughter of Richard White and Martha Davis.1 She married Richard Longfield, 1st Viscount Longueville, son of Robert Longfield, on 8 November 1756.1 She died in April 1809. [S12] C. Arnold McNaughton, The Book of Kings: A Royal Genealogy, in 3 volumes (London, U.K.: Garnstone Press, 1973), volume 1, page 160, says 20 Jan 1749. Hereinafter cited as The Book of Kings. [S11] Alison Weir, Britain's Royal Families: The Complete Genealogy (London, U.K.: The Bodley Head, 1999), page 282. Hereinafter cited as Britain's Royal Families. [S12] C. Arnold McNaughton, The Book of Kings, volume 1, page 160. [S12] C. Arnold McNaughton, The Book of Kings, volume 1, page 159. 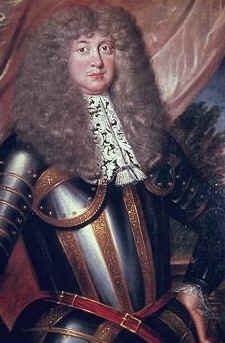 He gained the title of 1st Viscount Longueville.